British writer and theologian G.K. Chesterton observed, "It is hatred that unites people — while love is always individual." The use of hatred to mobilize has a long and bloody history. We should understand why it works so well. It taps into human weakness. It exploits the unwillingness of individuals to take responsibility for their own lives, to courageously confront life's ambiguities and inconsistencies, and still move forward constructively. It's so much easier to blame someone else. This is what racism is about. 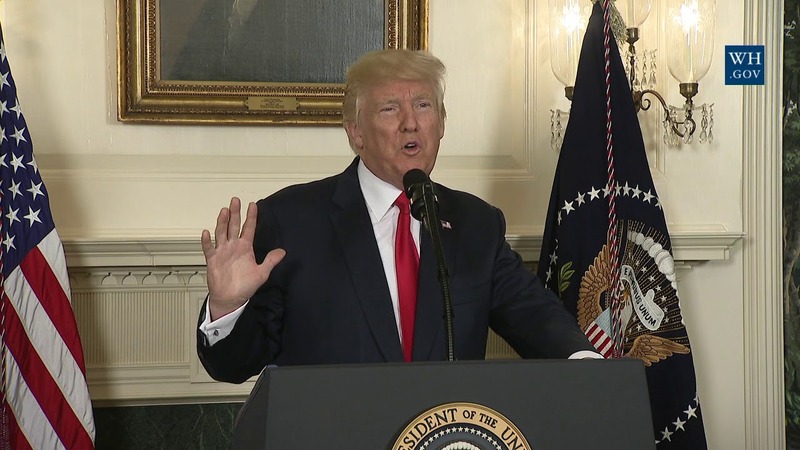 Speaking to the horrible incident in Charlottesville, President Donald Trump condemned the "egregious display of bigotry and violence" on "many sides" that's "been going on for a long time in our country." The president appealed for the "hate and violence" to stop and that we "come together as Americans." For these remarks the president is being attacked. Immediately, former Vice President Biden tweeted out "only one side." Congressional Black Caucus member Maxine Waters followed suit with the same. But President Trump is right. The use of hate to blame others, the refusal to take personal responsibility for one's life, is going on and has been going on in our nation "for a long time" on "many sides." Being honest about this does not justify the vile white supremacist violence and murder in Charlottesville. But to claim that these distorted individuals are the exclusive locus of bigotry in America does not help our cause. The Black Lives Movement, for example, has been going on for a number of years, with rallies laced with threats, blame and violent language. Eight police officers were murdered by young black men in Dallas and Baton Rouge last year. According to then-Dallas police chief David Brown, during the standoff in Dallas, the young black assailant "said he was upset at white people. The suspect said he wanted to kill white people, especially white officers." We can't solve our problems if we refuse to be honest about them and if, in trying to solve them, we demonstrate the same behavior that caused them — suppression of the truth, blame, absence of personal responsibility. I am astounded when those on the black left speak out self-righteously about white bigotry. If not bigotry of the black left, how do we explain the absence of any mention of Supreme Court Associate Justice Clarence Thomas in the new National Museum of African American History and Culture in Washington, D.C.? Or the absence of any mention of America's first black secretary of state, Condoleezza Rice, who grew up in Birmingham, Alabama, from the Civil Rights Institute in Birmingham? As the black left moves to whitewash all evidence of the confederacy and the civil war from our history, they also want to whitewash the present and pretend the only blacks in America are liberals. And while they do it, they claim a monopoly on tolerance. The Charlottesville incident began with a movement from the left to remove a statue of Confederate General Robert E. Lee. In an interview several months ago, Condoleezza Rice was asked about removing statues of individuals who represent history that repels us. She said, "When you start wiping out your history, sanitizing your history to make you feel better, it's a bad thing." Reality is what it is. Not what those with a political agenda choose it to be. And in this sense, President Trump told the truth. Bigotry and violence is coming from "many sides" and it has been for a "long time." "We cannot have an enlightened democracy with one great group living in ignorance...We cannot be truly Christian people so long as we flout the central teachings of Jesus: brotherly love and the Golden Rule."